If you're an adult looking to get a driver's license in the state of Wyoming, you have come to the right place. 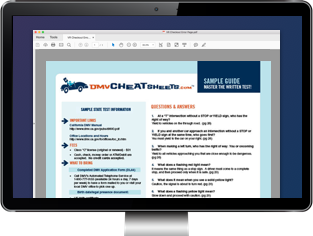 Here you'll find all the information you need to know to get your first WY driver's license from the Wyoming Department of Transportation (DOT). If you're a teenager looking to get a driver's license in Wyoming, please refer to our Applying for a New Teen License page. If you recently moved to Wyoming, or are planning to move to the state, you will need to transfer your out-of-state driver's license within 1 year after your move. To apply, follow the same steps as listed in “ Apply for a Wyoming Driver's License" below and remember to bring your out-of-state driver's license with you. You will need to surrender it upon application. NOTE: Depending on your specific circumstances, you will generally not be required to pass the written and road tests, but you will still need to pass the vision screening test. If you're a non-U.S. citizen or a citizen born outside of the United States, you may need to present additional documentation as requested. Contact the Wyoming DOT before you apply to confirm what you will need to bring with you. In Wyoming, there are different types of driver's licenses you can apply for depending on your age and the type of vehicle you wish to drive. Standard driver's license (REAL ID compliant): Class C.
If you wish to drive a special vehicle such as an all-terrain vehicle (ATV) or other off-road vehicle, visit our Special Vehicles in Wyoming page. To comply with federal requirements, the state of Wyoming now issues driver's licenses that are REAL ID-compliant. The REAL ID Act has been put in place to improve the reliability of state-issued ID documents. It now requires additional documents when applying for a driver's license in an effort to prevent identity fraud. For more information, read our article about the REAL ID Act. To pass a written knowledge exam and driving skills test. See “Driver's License Tests" below. To pay the $40 fee. The DOT suggests studying the Wyoming Driver Manual to prepare for the written test. Our recommendation is to study with the help of an online practice test from our certified partner. These tests are proven to help people pass the test on their first try. A complete list of required REAL ID documents can be found on the WY DOT website. You will receive your WY driver's license in the mail. If you need it to be sent to a different address to your current residential address, you'll also need to submit a Forwarding Request. NOTE: If you are an active duty military member, you can have your expiration date waived if you present your military ID card when applying. Visit our Drivers in the Military page for more information. Before the Wyoming DOT will issue you your first driver's license, you'll need to pass both a written and driving test. NOTE: These tests may be waived if you have a valid out-of-state driver's license. The written knowledge test covers material found in the Rules of the Road handbook. It will cover anything from seat belt use, to road signs, to safe driving techniques. When you're ready to take your driving skills test, you will need to provide your own vehicle. It must be properly registered and insured, and must be safe for driving. During your road exam, you will be tested on your ability to navigate through intersections, stop signs, and other situations. If you fail the driving test, your examiner will let you know how long you must wait until you can re-take it. They will make their decision based on your performance.